"The interior of this once rather dark local pub has been transformed into an ultra contemporary dining area" - Val Javin, The Huddersfield Daily Examiner. A warm welcome to Mumbai Spice restaurant in Huddersfield, West Yorkshire. Our family run restaurant offers the best authentic Indian Cuisine in the region. "There a nice variety of clientele present – both English and Asian families and couples, with a good, background buzz of an atmosphere". Mumbai Spice provides a classic combination of indisputable knowledge, unique experience and traditional values that carry worldwide recognition. The restaurant offers a sophisticated fine dining experience with effortlessly charming staff, discrete service and tantalising food that few can compete with in Huddersfield. That is the combination to ensure guests come back for more. The bhajis get a big thumbs up for the light, crispy batter and the kebab has a good kick of chilli. Each starter comes with the traditional salad of iceberg lettuce and tomatoes and a mint and yoghurt sauce. The salad ingredients are fantastically fresh. - The Huddersfield Daily Examiner Restaurant Review. Our aim is to provide you with a mouthwatering adventure like no other. At Mumbai Spice we are inspired to redefine Indian cooking excellence, set in atmospheric plush surroundings with a naturally relaxing ambience. We use only the freshest ingredients with authentic herbs and spices to flavour. Each dish is a masterpiece for you to enjoy and is complemented by our first class service. Mumbai Spice is designed to be exclusive, friendly, relaxing and fun. Join our Facebook Page! Please visit our facebook page and let us know what you think about the service we provide! Like Mumbai Spice! Visit our Like page and help us Grow! 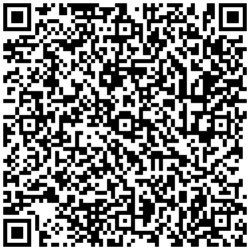 Scan the Barcode with your Mobile Phone!